Over the past ten years I have worked with students in varying capacities from volunteering, tutoring, and teaching summer courses to full time teaching. My experience working with students has been in various private, public and charter schools. Tutoring is what I do as a career and I enjoy it tremendously. Watching students grow and become more confident and more successful is why I do this. I look to create a positive environment where I can help motivate students to engage in both analytical and critical thinking in mathematics. I believe that working with students 1-on-1 and in small group settings can allow students to get their questions asked and not feel intimidated or worry about the pace of the class. I truly believe that my students' success is my success. I invest in each and every one of my students and try to be flexible, accommodating and available. My goal is for each of my students to not only feel successful but BE successful. 1. Helping to move students from on level classes to honors level classes. 2. Helping students transition from one school system to another, including international schools. 3. Helping students with homework and organization skills. 4. Helping students be more confident in the classroom so that they can ask more questions in class. 5. Helping students not feel intimidated in the classroom. 6. Helping students be more confident in their math skills. 7. Helping students with general test taking skills. 8. Helping students understand the role of mathematics in their future. 9. Helping students maximize his/her mathematical potential. 10. Helping students with the AMC/Math Counts/Math Team questions. 11. Helping students with the Math sections on the ACT/SAT. 12. Sending students extra worksheets when needed. 13. Checking students homework that they text/email me. 14. Giving Emergency last minute sessions. 15. Helping students catch up with work due to a long absence in school. 15. Helping students take placement exams in college and high school. 16. Helping young teachers get better scores on the Praxis Exam. 17. Helping with regular or honors level middle and high school math classes. 18. Helping students on the Regents Exam. 19. Encouraging students to contact me with any questions they have between sessions. 20. Helping students understand that they can and will do better than they are currently doing. Performing well on exams like the SAT, ACT and GRE is partially about the mathematics and partially about the strategies needed to do well. See my blog about some basic strategies. Having a strong understanding of Algebra 1 is quintessential for a student's success in higher mathematics. This is where most students start to struggle, and it continues into the later years. Algebra 2 is my favorite subject. This course allows you to truly explore your understanding of functions. Whether they are linear, quadratic, rational, polynomial or exponential. Depending on the course, many teachers also include trigonometry. Algebra 2 is one of the most challenging courses students will take, honors or non-honors. It is important that students keep up with the work level and keep up with practicing. I have found that when students don't keep up with the work load they tend to fall behind quickly, and it becomes increasingly difficult to keep up with the course. Performing well on exams like the SAT is partially about the mathematics and partially about the strategies needed to do well. The SAT includes math equations that range all the way to Algebra 2. There are some difficult questions about functions, usually linear and quadratic. There are also quite a few Geometry questions. It is important students practice so that they have the formulas they need memorized and they have some strategies in place. See my blog about some basic strategies. One of the biggest differences between the ACT and the SAT is that the ACT also has some trigonometry included in the test, which usually students do not see until their junior year. Some students may see it a little earlier. Trigonometry is all about triangles, that's why I love it! The difficulty lies in the fact that there is so much rote memorization early on with the different trig functions, their graphs, working with degrees or radians as well as all the different angle values. It is formula heavy and requires more memorization than the previous year of Algebra 2. I contacted Neemisha for help prepping for a math placement exam for my first year of college. She was absolutely amazing, patient, understanding and so helpful. After more than a year of being out of school and not studying math, I had forgotten a lot. She was so understanding with my situation and guided me through an intensive month of preparing for the exam. She helped me through the basics up to more complex college algebra. She was patient and reliable. She helped me get organized with a schedule and a timetable. As well as providing me with extensive practice materials, and took her time in clearly explaining what I need help on. She was calm when explaining things and made math not seem as intimidating as it was to me all through high school. I ended up scoring higher than I ever expected on my math placement exam and placing not only into the college course I needed but in to higher math classes as well. I highly recommend her to anyone looking for an excellent tutor! My son has had a number of lessons with Neemisha and it seems like progress is being made and he is catching up. She has been great in recapping his lesson and progress too. This is key. We have only had one lesson so far, but my daughter absolutely loved her and is looking forward to more lessons. She was able to identify my daughter's needs right away and give her the confidence needed to move forward. Great start! Neemisha is helping my daughter with precalculus. After the first session my daughter said for the first time understands what to do. Neemisha is friendly, flexible with scheduling and easy for a student to connect to. Neemisha has been working with my middle school aged child for several months now and we couldn't be happier. My child's confidence has blossomed under her tutelage and her participation in class and grades have improved as a result. Neemisha is very patient and really wants to know and understand how she learns best. As an added bonus, she strives to be flexible with her schedule so that if an unavoidable conflict comes up or an additional session is needed she does her best to accommodate. With her infectious enthusiasm for math, obvious teaching competence, and concern for my daughter's success, we hope to have Neemisha in our lives for quite some time! Great tutor who's invested in our child's success. Neemisha has been a great tutor for our son, She came twice a week over the summer and now comes once a week during the school year. Neemisha is passionate about math and has really helped him gain confidence in his skills. He particularly enjoys playing the math games during the session to reinforce key ideas. Most importantly, it has shown up in improved school work and test scores. 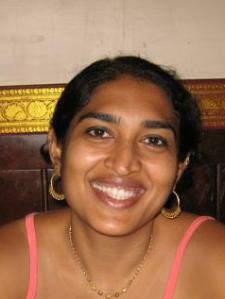 Neemisha is a fantastic tutor, and your child would be lucky to work with her. I really can't say enough about her. She is even better than all of the wonderful reviews for her that have been posted. Given her love of math, and the fact that she is an experienced teacher and tutor, Neemisha brings a wealth of knowledge to her students. My child absolutely loved working with her! We worked with her on a short term basis for some Algebra I enrichment. Neemisha was outstanding at explaining the material, but also knowing what skills and higher level thinking strategies the student will need going forward in the study of mathematics. My child said she was incredible at explaining and reinforcing concepts. Neemisha has her students verbalize what they are doing. I think having to explain things is a good check on what they do or don't understand, and deepens their knowledge of the material. Another thing that really impressed us was that when my child made a mistake, Neemisha re-worked the problem and helped my child to understand what they did wrong or where they made the mistake. In school, most of the time a student is just told they got something wrong. Neemisha goes the extra mile and uses mistakes as a teaching opportunity to ensure the child does get it right the next time, and completely understands what to do and why. Neemisha is a gem! I would highly recommend her. Great with my teen boy and all his other distractions. Gets results and works with him to focus on results. Neemisha is working with our son, who missed half a year of school due to illness. In 9 or 10 sessions, she has done a lot to catch him up, and has gotten him to start showing his work, which has been a struggle for a while. She is always pleasant and funny with him, and he has really started to enjoy the subject. I am very pleased with my son's improvement. His grades have gone up thanks to Neemisha's tutoring. She is very knowledgeable and patient. She makes sure my son understands the lesson. She is also reliable and will try to accommodate extra sessions when needed.